For more information on PayPal, visit https://www.paypal.com/about. For PYPL financial information visit investor.paypal-corp.com. Go to https://www.payfast.co.za/ for more info. An electronic funds transfer (also known as EFT) is a system for transferring money from one bank to another without using paper money. Its use has become widespread with the arrival of personal computers, cheap networks, improved cryptography and the Internet. Since it is affected by financial fraud, the electronic funds transfer act was implemented. This federal law protects the consumer in case a problem arises at the moment of the transaction. What are the measurements of the original paintings? What is the paint used (medium) of the original paintings? What constitues a ‘watercolour / watercolor’ painting? What is the difference between painting mediums (eg. oil, acrylic, watercolour, gouache)? Do original watercolour paintings fade? Does the painting have a number, like the prints? How do you package paintings for shipping? 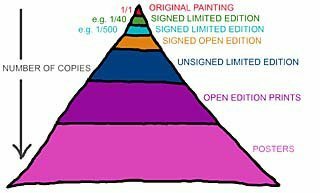 Are original paintings signed by the artist? What is the difference between a painting and a print? Is an original painting a good investment? How should my painting be framed? How do I know if my painting is an authentic Sue Dickinson painting? Is it true that watercolour is the most difficult painting medium to use? How do I protect my painting against damage? Can you ship a framed painting? What are the measurements of the paintings? Standard size: 54 x 72cm (about 21 x 28 inches). Small size: 38 x 28cm (15 x 11 inches). Extra-large size 150 x 100cm (60 x 40 inches). No, the original watercolour paintings are not numbered. Some artists number their originals as 1/1, but this is not common practice. How do you package paintings for shipping? Paintings are sent flat between 2 sheets of polystyrene. Sue’s paintings sold for R1 500 in 1994. Their value has increased to R22 500 in 2007. The price will continue to rise and, perversely, will increase dramatically when Sue dies. Only buy an original painting from a reliable source. Sue keeps a record of every sale, so you can authenticate a painting through her. It is difficult to tell the difference between a painting and a print because print technology is so advanced. If you need to differentiate between the two, view the paint with a magnifying glass. A print will have a very small dot pattern. An original will not, though some watercolour paints do have a grainy appearance. If in doubt, get the help of an expert. Frame behind glass, using Conservation Framing. Spray the wall on which the painting is hanging regularly with insecticide. Fish moths love watercolour paintings! Hang the painting out of direct sunlight, and away from any source of condensation like a kettle or bath. What constitutes a ‘watercolour / watercolor’ painting? A watercolour painting is one that the artist has painted using water-based media. There is considerable debate about this topic. Purists believe that ‘true’ watercolours are painted with transparent watercolour paint only. Others believe that water-based media can include opaque, water-based paint. All of the paintings on this site are ‘true’ watercolours, with certain white highlights, like whiskers, painted with opaque white gouache. It is very important for your painting to be “Conservation Framed”. This framing method uses acid-free board, tape and glue. Any reputable framer will know about Conservation Framing. It is suggested that the prints be framed behind glass. It is customary to leave a small margin of white space between the printed area and the edge of the framing mount board. This margin of white space is where the signature and number of the print appear. Please! NEVER use non-reflective glass. It makes watercolour paintings appear dull and murky. See FRAMING below for more information. This is a subjective question but … Watercolour is a very unforgiving medium because once the paint is on the paper, it’s there for good. If still wet, a small amount of paint can be mopped up or lifted, but there is almost always a faint residue. For watercolourists there is no white paint. Any white in the painting comes from the paper itself, where no paint has been applied. Opaque white gouache can be used very sparingly over dark colours, but this tends to look chalky. So, yes, watercolour is difficult. Oil and acrylic painters can scrape off paint, or overpaint virtually limitlessly. Yes. The painting is protected as much as possible against the glass breaking with bubble wrap, then a custom-built crate is made for freight shipping. South African orders are sent via courier to most addresses. Please note that shipping costs are higher. What paint is used (medium)? Artists’ watercolour paints. Watercolour paints are available in two grades: “Artist” and “Student”. Artist quality paints are richer in colour and produce vibrant mixes. Student grade paints have less pigment, and often are formulated using two or more less expensive pigments. “Artist” paints are more expensive but many consider the quality worth the higher cost. Sue uses only Winsor & Newton Artists’ quality watercolour paint for purity, quality and reliability. Saunders Waterford paper, 300 or 600 g/m2. HP surface (medium rough texture). Saunders Waterford Series is the finest watercolor paper, is a 100% rag mould-made paper, acid free and buffered against atmospheric contamination giving archival permanence. The natural white sheet contains no optical brighteners, thus having excellent colour stability and surface strength. Are the original paintings signed by the artist? What are the measurements of the Prints? Paper print vs Canvas print? Will my Giclée Print last forever? What does the print’s number mean? Is a Limited Edition Print as valuable as an Original Painting? What is the relative value of different types of prints? Does Sue hand-sign each print? What is the size of the prints? How should my print be framed? How do I know if my print is authentic? The word giclée, pronounced “zhee-clay” is a French word that means “to spray”. A giclée print is made by using a highly sophisticated and very expensive ink jet printer. Its drum based technology creates prints that are almost identical to the original artwork. It is a large printer, capable of printing to extra-large sizes. Its proprietary ink/ink calibration system results in virtually continuous tone prints. This means that the dot pattern which can be easily discernable on ordinary prints, is much finer, closer together, more random and more precise. The combination of specially formulated inks and unique pre-print system produces museum-quality prints. The reproduced colours are rich and accurate – a feature particularly visible in both very dark or very light areas. A giclée print falls between a serigraph and a lithograph in quality and economy. The first step in creating a giclée print is to convert the original art into a digital file. Saved at an extremely high resolution, each file size is very large and is saved to a Zip Disk or CD. Once the art is in a digital format, it can be touched up and perfected in the software program and closely viewed as any corrections in color or clarity are made. It is essential at this stage for the artist and printer to work very closely, ensuring that the digital image is as close to the original painting as possible. The print paper or canvas is wrapped around the drum of the IRIS, spinning at a high speed. Both options are supplied unframed. Paper prints must be framed behind glass; canvas prints need to be stretched onto a wooden frame. If required, canvas prints can also be framed behind glass to protect them from the elements, but this is not necessary. Framing should be done by a professional framer. Eight nozzles, each containing a separate color (CMYK) travel along the drum, spraying ink and forming the image. The micro drop size and 1800 dpi resolution compose unquestionably high-quality prints. The time it takes to run off just one giclée print could be as long as 1 hour. Giclées are appearing in the finest galleries around the world. Understanding this process is becoming a necessity for everyone who wants to be up-to-date on the current state of the art world. Museum quality water colour paper is a heavy porous stock with little or no acid content. Acid is the enemy of art prints, and, with sunlight, is the cause of yellowing and fading. The paper’s pores absorb the acrylic inks and cure with highly saturated brilliant color for life-like detail. The giclée prints on water colour paper are best displayed matted and framed behind normal glass, as you would a fine art photograph. Preservation and Longevity – it is not advisable to hang any art in direct sunlight, as this will eventually damage the work (this applies to artwork in any medium, including oils). A certain amount of fading will occur over a period of about 30 years. Provided your prints are not hung in direct sunlight and are correctly framed or stored, they should last you a lifetime.The digital art is sealed with a clear topcoat glaze that protects the vibrant colors from ultraviolet light. 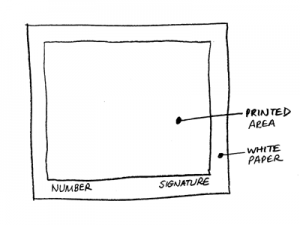 Limited Edition – The bottom number (in this example, 400) refers to the number of prints in the edition. The top number (26) means that this is the 26th print in a series of 400 prints. Once the stated number of a limited edition has been reached, no more prints are made from that original image. Both the artist and the printer destroy all high-resolution scans of the image, ensuring that no more prints are made. An OPEN edition means that there is no limit to the number of prints produced from the same original image. Limited refers to the bottom number of the print. Once that number is defined, which it must be before the series is printed, more copies of the print cannot be made. The print has had its quantity LIMITED, or prescribed. No, an original painting is more valuable because it is one of a kind – literally the ORIGINAL. Prints that have the artist’s original signature are more valuable than an unsigned or mass-printed artist’s signature edition. As always, it depends upon supply and demand. Yes, each print is individually hand-signed and hand-numbered, in pencil, on the bottom of each print. The number appears on the bottom left; the signature appears on the bottom right. If you lightly run your finger over the signature, the pencil should leave a faint residue on your finger. With the sophistication of modern printing methods, it can be difficult to differentiate between an original painting and a print. Under a magnifying glass, you should be able to see the fine dot pattern that is distinctive for a print. The original painting will not have a dot pattern. Yes. The investment value of these prints is enhanced by their limited number and by the artist hand-signing and hand-numbering each individual print which is produced. They are not as valuable as the original painting, but will still be a valuable collector’s item. In most cases, a limited edition print will increase in value in the same way as an original. For example, a 1984 limited edition print by wildlife artist Terry Redlin sold for $600. Now the same print sells for $2,800. Paper size = 60cm wide by 45cm high (± 24 1/2 inches by ± 18 inches) – slightly larger than A2. It is very important for your print to be “Conservation Framed”. This method uses acid-free board, tape and glue. Any reputable framer will know about Conservation Framing. It is suggested that the prints be framed behind glass. It is customary to leave a small margin of white space between the printed area and the edge of the framing mount board. This margin of white space is where the signature and number of the print appear. If you are in any doubt about the authenticity of a Sue Dickinson limited edition print, please contact the artist directly via the CONTACT PAGE. 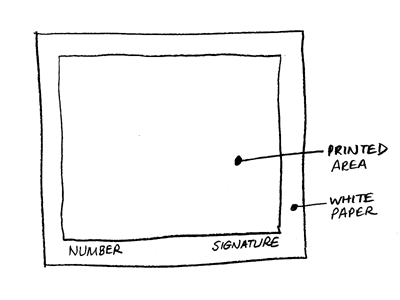 A record of ownership is kept by the artist, with details of the original purchaser of each numbered print. In this way, the prints’ “provenance” (or source history) can be traced. Sue will supply you with a Certificate of Authenticity if required for insurance purposes (please request this when ordering), but if the authenticity of your print is in doubt it is highly likely that your Certificate is a forgery too. Send a PRIVATE message to Sue on our Contact Page. Supply your contact details (your name, email address and/or a telephone number). Sue will contact you within a day or two to discuss exactly what you have in mind. What if I don’t like a completed painting? How do I specify the subject-matter? Sue has an extensive image library, but if you have your own photographs of any specific subject, you can send copies to Sue for her reference purposes. Not all photographs are suitable. Can I specify the style? Please note that any painting commissioned will be in Sue’s distinctive, clean style. How does payment for a commissioned painting work? A price will be agreed upon and 50% deposit is payable before the painting is begun. Sue will provide payment options. When you approve of the completed painting, the balance of your payment is payable. Payment can be made using PayFast Secure Payments, PayPal or electronic funds transfer. Sue will provide you with her banking details. Do I approve the painting as it progresses? Yes. You and Sue will communicate throughout the process. Sue begins by drawing her subject in pencil, and then sends you a progress photo for your approval. Several progress photos can be sent in the course of creating a painting. Sue sends you a photo of the completed painting. Should my framer use glass, plexiglass or non-reflective glass? How much space should be allowed around the print for the mount board? What colour mount board should my framer use? Should my framer use an inner mount board? How wide should the mount boards be? What kind of frame moulding should I choose? It is very important for your print to be “Conservation Framed”. This method utilises acid-free board, tape and glue. Any reputable framer will know about Conservation Framing. The two enemies of any artwork are acid and UV rays from the sun. Standard board, standard sticky tape and glue have a high acid content, which can destroy a painting or print. Glass is my first choice, then plexiglass. Watercolour paintings should NEVER, EVER be framed with non-reflective glass – it just deadens the natural luminosity of a watercolour. It is customary to leave a small margin of white space between the printed area and the edge of the framing mount board (approximately 1cm). This margin of white space is where the signature and number of the print appear. This doesn’t apply to original paintings. I recommend an off-white colour, as close to the actual print paper as possible. Because several of my paintings and prints have no “background”, it looks good to have a dark inner – a width of about 1cm – surrounding the print. This can be in the form of a dark mount board, or a slip. Please allow the print to breathe! The paintings and prints are shown to their best advantage with a surrounding mount board of about 10cm (4 inches) or more. This is really open to your taste and where the framed painting/print will be hung. Fashions also change. At the moment a wide, flat moulding is very popular and looks good in a dark mahogany colour. The moulding shouldn’t be too narrow because this can look odd. There are so many great frames available and I’ve seen my prints looking good in some almost Baroque frames. Please contact Sue via the CONTACT PAGE if you have further queries. Electronic reproduction on this site is done with the best technology available. However, there is a reduction in the quality of images. However, if you are in any way dissatisfied with your original painting, please do not hesitate to contact me. The scans used on this site have been compressed as much as possible so that their download time is fast, while remaining as close as possible to the original artwork. Your 14-day return guarantee means that you can return paintings if they do not meet with your expectations. It is sometimes difficult to choose a painting or print on the internet.